“A dream that began in London over 25 years ago: owning and operating a restaurant, has come alive and grown beyond our wildest expectations. 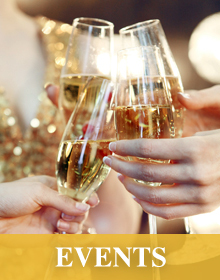 Since 2006, we’ve successfully shared our delicious food and event expertise at our Schiller Park space. We are now blessed with the opportunity to expand into a second site in Villa Park. 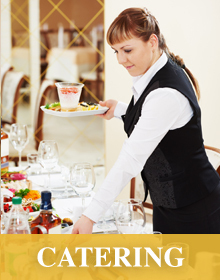 While this location embodies our tradition of exemplary catering and banquets, it also includes a full-service restaurant and food delivery. Each day we get to meet and work with such a diversity of new and loyal customers, keeping our lives full and exciting. Allegra is about more than just aesthetics: the food was delicious. No one went home hungry. The service I received from everyone was A+. Five stars? I wish there was 6 stars to give out! We had our wedding reception here, and it was magnificent! Tony and Bozena are the most professional people we’ve ever dealt with! They created our dream wedding: décor, food and beyond! Tony, who’s exceptional, stayed to make sure we were taken care of the whole time. Thank you, Allegra! 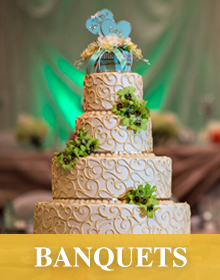 The best Banquet hall experience I have ever booked! The staff were a dream to work with. The owner will bend over backwards to meet the vision of your party. Everyone seems relaxed and happy to help. We left this place very satisfied customers. Best place possible to have a party! Great food and atmosphere, not to mention an amazing owner: Tony’s the best! Tony brought to life what we had in mind for our wedding – I truly cannot say how much he made the event what it was. All I did was pass him the decorations and table details, and he made it flawless. Jonathan and I are so thankful for such an amazing wedding weekend! 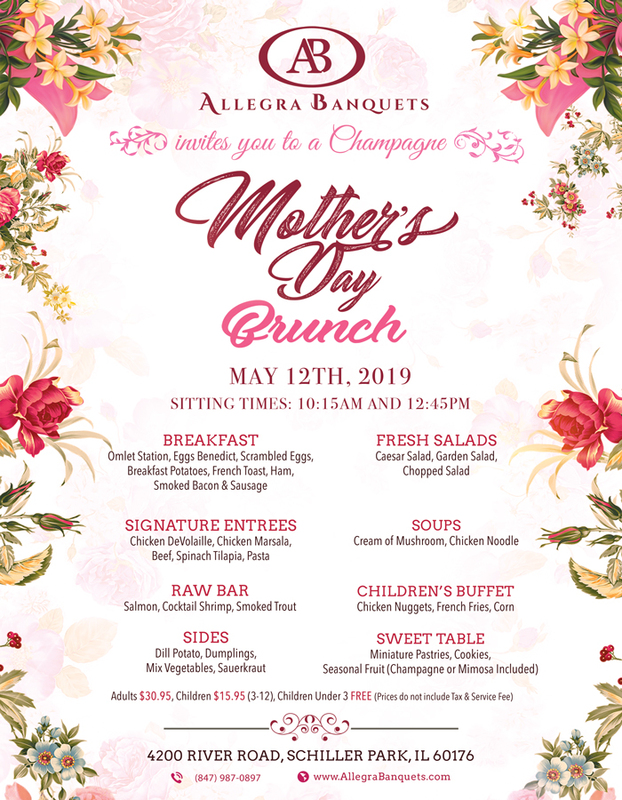 We are so pleased that we were able to work with Allegra Banquets. 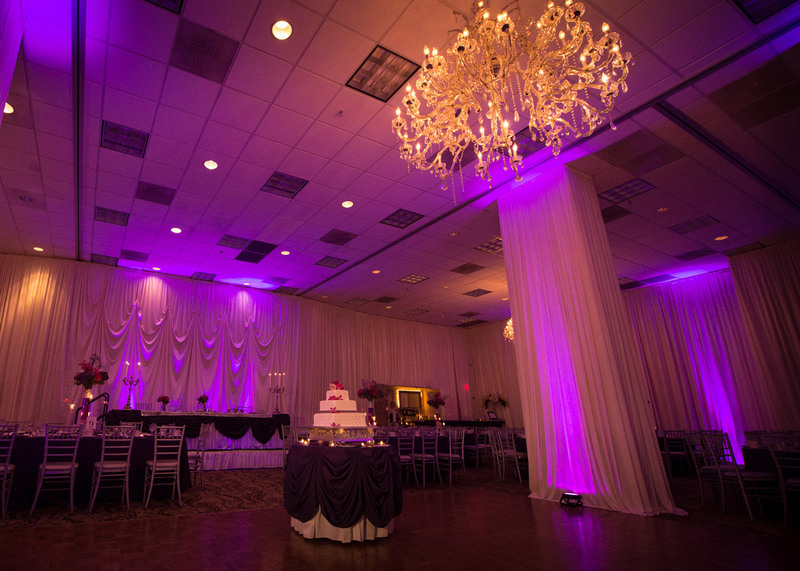 We have nothing but great things to say about our experience with your venue, and we look forward to recommending and/or using your services in the future.